The keyword ‘group’ indicates we are dealing with a bunch of machines, and not the local policy of a home computer. While the keyword ‘settings’ means the policy is tattooing values in to the User Interface, rather than providing a preference that a user could change. The traditional idea is that administrators plan Group Policy Settings, and then configure the values using GPMC. The result is that some menus on their users’ computers are locked-down, and choices are removed. 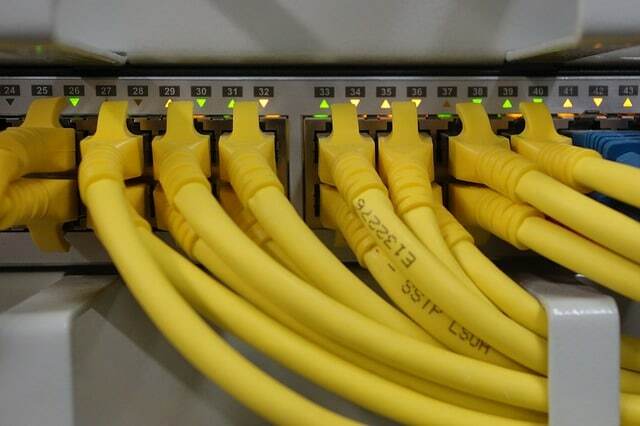 The benefit is that users don’t waste time fiddling with menus in the ‘Network and Internet’, or worse, compromise security by adding programs or removing files via USB sticks. What antagonizes users about draconian group policies is that in the office they are not allowed to configure trivial settings they are familiar with on their home version of Windows 8. For example, some left handers like to swap the mouse buttons. The latest thinking amongst network architects is to plan the best of both worlds, server administrators can configure policy settings in the traditional manner, but they can also employ Group Policy Preferences for Windows 8 computers, whereby the company merely suggests non-critical settings, and the users are free to change them. So that you can to make effect policy settings, you need two people with different points of view, sit them down and persuade them each to make compromises . My choice would be to pair a techie, who knows GPMC, with a manager with a vision of what the company’s Windows 8 computers interface should look like for the users. An alternative would be one person who could wear two hats called ‘Computer security’ and ‘User comfort’. Let us turn to practical matters, and get a simple policy working. 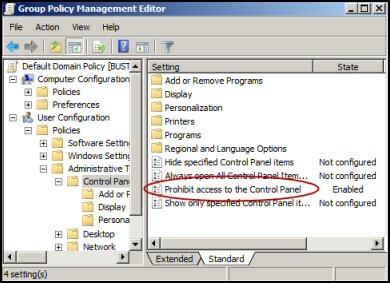 It may be easier, and safer, to learn about Policy Settings by launching the Local Policy Editor – Gpedit.msc – on a Windows 8 machine, rather than grappling with the Group Policy Settings using GPMC on a domain controller. My thinking is once you understand how to persuade a policy to ‘bite’ on a client computer using Gpedit, then you are more prepared for the extra layers of interactions caused by domain controller replication, and delays between ticking a box in the server’s GPMC, and it taking effect on the Windows 8 client. When you decide to make a change to a policy the first decision is, ‘Do I expand the Computer Configuration, or scroll down to User Configuration?’ It’s interesting to note in passing how this Computer v User Configuration split mimics the registry’s dichotomy, HKEY_Local_Machine, or HKEY_Current_User. 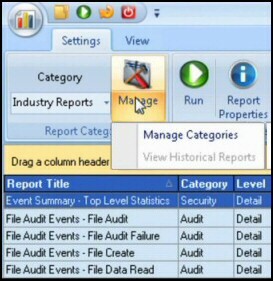 Most of the classic user settings are in found in the User Configuration, Administrative Templates. Try this experiment: expand ‘Control Panel’, on the top level, click ‘Prohibit access to the Control Panel’, now select ‘Enabled’. There is no need to logoff, just check to see if the Control Panel has disappeared from the menu. If you search for Control Panel, then click on the executable, do you get a Restrictions message saying the operation has been cancelled? If so this means your policy is biting on the user. Here is a job for the Computer Configuration (not User section). Expand Windows Templates, scroll down to Windows Components, just about the last folder is Windows Updates. Another surprise, there are so many group policies here, choose: Configure Automatic Updates, click ‘Enable’ then make your selection. More ideas for settings to get the feel of Windows 8 Group Policy Settings. Do not allow Snipping tool to run (Easy to test). There are broadly three reasons for changing group policy settings, firstly, adding features present in XP, but dormant in Window 8. Secondly, using group policy to remove setting that are inappropriate for that machine, for example, if you have no speakers: ‘Remove volume control icon’. Thirdly, employing the traditional group policy role of restricting what users can do, for example, ‘CD and DVD deny write access’. In practice this means administrators finding ways of restricting what their users can do, rather as a racehorse trainer may put blinkers on a steed to make them concentrate on the job in hand, for instance enforcing a policy to, ‘Turn off desktop gadgets’ or ‘Prohibit access to the Control Panel’. One result of Windows 8 group policies is that companies create a customized version of the operating system, which is very different from the users’ home version of Windows 8. For example, ‘Turn off desktop gadgets’ is enabled at work, while there is no such restriction at home. If possible use Gpedit on a test Windows 8 machine, rather than risk experimenting on a domain OU with GPMC. Your final mission may well be a group policy in a active directory, but this does introduce extra layers for troubleshooting, for example Domain Controller replication and update delays. This built-in command-line utility displays the Resultant Set of Policy (RSoP) information, Here below is a small section of what the Windows 8 Gpresult reveals about your group policy. Gpresult /r (Summary of RSoP). Left to it’s own timetable, a Windows clients initiates a group policy ‘pull’ about every 100 minutes. The purpose of Windows 8’s Gpupdate is to force an instant update rather than waiting up to 2hrs (90 mins + Random 30). /force. Reapplies all group policy settings. /target:computer or /target:user Applies only the computer (or user) section of your policy. Normally I would use plain Gpupdate without this option. /logoff. Useful for those few settings that do not apply until the user logs on again. /boot. Handy for the rare configuration that needs the computer to restart. Domain administrators set group policies for their users via GPMC. For a Workgroup or HomeGroup you can use Windows 8’s built-in Gpedit. Actually, this highlights the main benefit of a domain – central administration. I regard Gpedit as merely a reference for when the domain is not available, or as a test-bed for trying settings on one machine without disrupting the domain workforce. The first source of frustration is that you type plain gpedit, whereas it only appears in search results when you add the .msc extension, thus always type the full: gpedit.msc. Another problem is that you have the Home Premium edition; and you need the Ultimate, Professional (old Business) or Enterprise editions in order to get a copy of the Windows 8 Group Policy Editor. Note 1: Make sure you tick ‘Hidden items’ in the View tab. Note 2: You should see both GroupPolicy\ and GroupPolicyUser\. * The environment variable %SystemRoot% usually translates to C:\Windows. See more about Windows 8 Gpedit. Prevent installation of removable device. Microsoft’s Group Policies can be traced back to System Policies in NT 4.0. The concept is to provide a Group Policy Management Console (GPMC), where an administrator can configure operating system settings that apply to all his machines, and all the users in his domain. Before you start choosing Group Policy Settings for real, take the time to flesh-out a vision of the Windows 8 computer that you want for this particular group of users. As for mastering the individual policy items, practice on safe and easy to understand settings. The main dangers are double negatives confusing you, and thinking a setting is not working, when you are just looking in the wrong place.